Free PayTM Cash Loot , PayTM 1 ka 20 Offer – Hi Guys , Hope You guys Are Enjoying Our Super Duper Free Recharge Tricks & Free Recharge apps. Yesterday We have Published The Free Rs.10 Paytm cash Loot. I Think Most Of Us have Looted it. Here is Another Small Loot From PayTM. If You are Old Reader of trickybabaji Then You Must Remembers The Golden Age Of Paytm 5 ka 10 Loots. Paytm Was Giving Free Rs.10 back on Rs.5 Unlimited Time & Most Of us Have Looted it. 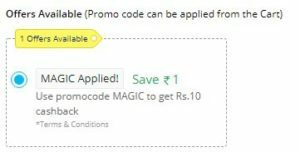 Here is Another Similar Kind Of Offer PayTM is Giving Free Rs.20 Cashback On Purchase Of Cashback Voucher In Rs.1. Means You Will Get Free Rs.19 PayTM Cash + discount Voucher. 7} Best Deal !! Isn’t it ? Get Rs.200 Cashback on Adding Rs.400.